[PDF] The Twin Sister Planets Venus and Earth: Why are they so different? | Free eBooks Download - EBOOKEE! [PDF] The Twin Sister Planets Venus and Earth: Why are they so different? Description: This book explains how it came to be that Venus and Earth, while very similar in chemical composition, zonation, size and heliocentric distance from the Sun, are very different in surface environmental conditions. It is argued here that these differences can be accounted for by planetoid capture processes and the subsequent evolution of the planet-satellite system. Venus captured a one-half moon-mass planetoid early in its history in the retrograde direction and underwent its â€œfatal attraction scenarioâ€ with its satellite (Adonis). Earth, on the other hand, captured a moon-mass planetoid (Luna) early in its history in prograde orbit and underwent a benign estrangement scenario with its captured satellite. 2018-01-29[PDF] The Greatest Story Ever Told So Far: Why Are We Here? 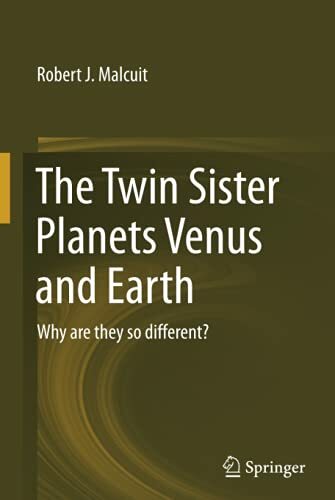 No comments for "[PDF] The Twin Sister Planets Venus and Earth: Why are they so different? ".